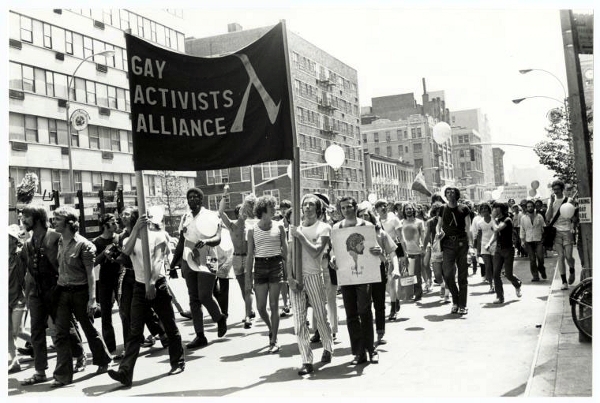 Gay Activists Alliance (GAA) has been an advocacy group dedicated to securing "full rights and privileges" for gay and lesbian community that was also instrumental in securing the passage of the D.C. Human Rights Law in 1973, one of the US nation's first laws to ban "discrimination" against gays and lesbians. The creation of GAA was the result of reorganization of Kameny's campaign committee after he lost the elections for Congress. As the first openly gay person to candidate for it, he used the elections to increase the publicity for his "personal freedoms" platform and to politicize the local gay community. Kameny spread his activist agenda across the country by giving speeches, organizing rallies, radicalizing existing gay organizations and helping a myriad of new groups to emerge in other cities. GAA has become a powerful advocate for homosexual agenda with local officials, the media, the police, and the school system. Together with the Gay Liberation Front-DC (GLF) and the Mattachine Society of Washington, D.C., it also participated in laying plans for a major disruption of the APA's Convocation. ↑ 1.0 1.1 David De Leon (1994). Leaders from the 1960s: A Biographical Sourcebook of American Activism. Greenwood Publishing Group, 253–259. ISBN 978-03132-74145. ↑ GAA rally on photo. Retrieved on 18 Jun 2016.